The HealthSciences Institute Foundations of MI Health Coaching is an excellent distance learning option for practitioners new to MI health coaching, as well as experienced MI practitioners interested in building specialized MI health coaching skills. The webinar series may be completed alone or following the CCP program or the RHC-I MI Health Coaching Intensive. This series is designed for clinical or nonclinical direct care or health management staff. Five, one-hour skill-building sessions organized around the 2012 Miller and Rollnick MI health coaching model framework from Motivational Interviewing (Third Edition) Helping People Change are offered. Released in 2012, the long-awaited framework offers a step-by-step process for engaging patients and facilitating health-related behavior change. In addition to reviewing this new model and its application to real world health care settings, the series includes individual and team practice activities and case studies for building concrete, practical health coaching skills. The series is designed for practitioners who serve patients at risk of, or affected by, chronic conditions in telephonic or face-to-face wellness, disease management or case management, or, direct care settings including medical homes and accountable care organizations. Clinicians and non clinicians are welcome to attend including nurses, advanced practice nurses, pharmacists, physicians, dietitians, rehabilitation therapists and behavioral health care professionals. Chronic Care Professional (CCP) health coach certification is a recommended, but not required, pre-requisite. When are the Sessions Held? Are Replays Available? This series includes five, one-hour sessions via On-Demand. Purchasing the On-Demand series. This will allow the participant to view a previous season of the Foundations of MI Health Coaching at their leisure. Are Continuing Education (CE) Units Provided? Upon completing the series, participants submit an evaluation and receive a certificate of completion (5.0 hours). The series is pre-approved for Chronic Care Professional (CCP) recertification. Please check with your state licensing board to determine eligibility of CE hours toward hours required for relicensure or recertification. HealthSciences can provide an agenda, bibliography, faculty bio, etc. For other relicensure or recertification if required for CE approval submission for registered attendees. Can This Series be Applied Toward Registered Health Coach Training Requirements? Yes. 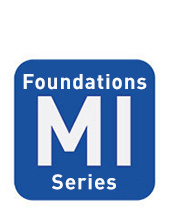 This series fulfills the Foundations of MI Health Coaching requirement for the Registered Health Coach credential and listing in the National Health Coach Registry. What is the Tuition Fee and How Do I Register? The tuition fee for all five sessions is $250 ($200 each for five or more participants). The tuition fee for the entire series is comparable to the average fee for one 60 to 90-minute webinar, making it affordable for individuals and organizations. To reserve your space Register Now. If you have questions about alternative payment arrangements, please contact us. Are Group Tuition Reductions Available? Yes. Five or more registrants from the same team or organization are eligible for a 20% reduction in the tuition fee ($200). If you would like to register with your colleagues or register five or more of your staff members, please enter the code MI20. Dr. Butterworth has been in the health promotion field for over 20 years. She received her doctoral degree in adult education and training with a cognate in health promotion from Virginia Commonwealth University. Her special area of expertise and research is motivational interviewing-based health coaching. She is an associate professor with the School of Medicine at Oregon Health & Science University. She has been awarded two National Institutes of Health (NIH) grants to study the efficacy and impact of health management interventions, and has published multiple papers on the theory and outcomes of health coaching. Dr. Butterworth has led large MI workforce development training programs in a variety of health care, wellness and chronic care settings. At HealthSciences Institute, she is lead trainer and advisor in MI-based health coaching. To ensure you receive emails from us, including your receipt, link for viewing the presentation, evaluation form or certificate of completion, please add www.HealthSciences.org as a "safe sender. You can usually do this through your junk or spam mail settings of your email program. If you are unsure how, please ask your IT support staff for help. Also, prior to contacting us about not receiving an email, please check your spam or junk mail folder for the email. If you are accessing these webinars at work, prior to registering please confirm with your IT department that you are allowed to access GotoWebinar webinars and can install the GotoWebinar software. Please download the necessary software from www.GotoWebinar.com prior to the training. If you experience any technical difficulty downloading or accessing a GotoWebinar event, please contact GotoWebinar tech support via phone, chat or email: http://support.citrixonline.com/en_US/GoToWebinar/contact or your IT support staff. We provide email support for any issue, except issues with your personal or work computer which are beyond our control. No refunds will be issued for "no shows" or cancelations. If you are unable to attend one or more sessions, replays of each session will be available for 30 days. If this program is canceled, all fees will be refunded. All participants must register for this series. Unauthorized sharing of the webinar link, user names or passwords, as well as reproducing or sharing the training material is restricted by law. Registration for this event constitutes a contract and the terms and conditions of this are binding on both parties. By registering you acknowledge that you will be attending this training as an individual, and that you will not share or reproduce, in any form, content from this training session. Any violation of this policy will result in the infringing individual or organization being restricted from future HealthSciences Institute events, as well as potential civil penalties. Most importantly, we ask that you follow these policies out of respect for your colleagues and other organizations whose funding has made these events possible.